Before starting with numbers however, a little disclaimer about the transparency of our stats. We’ve built that trust through 3 years of online career – sharing our performances on a DAILY BASIS on our site – with comments open. Everyday, as part of our Free Daily Analysis, we share the results of the day before’s trades and not one subscriber has ever made a complaint about these numbers in more than 3 years. Zero suspicious comments have been made since 2009. There are no reviews/forums on the worldwide web talking about Surfing The Pips performances being fake. It would of course be very simple for scammed people to attack our company and you know how very angry a scammed trader can become – just check the same forums! continuing in business long term is your goal – at StP it IS. We have no intention of providing an opportunity for a disgruntled Surfer to devastate the sound reputation we have worked hard to build over the past 3 years. Another reason to trust our results is that, yes they are fantastic….but less fantastic than a multitude of other “scam sites” fraudulently claim. Sadly the Internet is full of sites giving you the hope of doubling your money in a few weeks. We simply say that you will get 53% in 12 months – the facts! This sounds like a really “poor cousin” (to ignorant people) by comparison to the massive and unbelievable claims from the “shonks”. We are happy to stay away from this unscrupulous world and remain faithful to our dream to build a community of serious traders; Serious and Conscientious traders. Free people who recognise that if the world’s top Hedge Fund made 43% last year , it would be very difficult for a newbie to do better. The chart attached to this article displays the profit margin earned by the best funds in the world during the first semester of 2013. Results of the second semester are not yet available but we promise to update this report with the new data when available. Referring to the chart you will note that in the first semester (when we performed a nice +18%, by risking ONLY 1% of our capital per trade) we achieved second position, marginally below Owl Creek. we can annualise the results (assuming the same relative performances from July to December). Comparing the projections to our actual +44.17%, we remain in second position, opening a substantial gap (+12.97%) between STP and the third placed Caxton Global. 1. Risking only 1% of our capital per trade. By simply doubling this %, from 1% to 2% (still a pretty small risk per trade generally speaking) we would have frazzled every competitor. Our Profit Margin is incredibly consistent: It’s really amazing to observe what a REAL Forex System can do while trading the markets. We almost always travel at the same speed. The external world can change, entire nations can go bankrupt, economies can fall and rise, yet we always achieve the same nice profit: between 40% and 50% (by risking only 1% per trade). This truly is something of which to be very proud. 4 years of profits in a row: SurfingThePips.com started up in the beginning of 2010, we are 4 years old, 4 years of shared profits. Expectancy has almost doubled: In the second semester expectancy (check this article to understand this important statistic) increased to $+246.43 and almost doubled the first semester performance. This means we are improving month after month, keeping losses small and gains bigger. 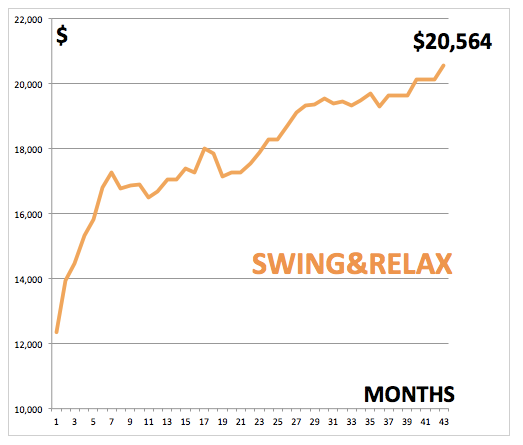 With our Swing & Relax strategy signals are sent only at the end of 4 hour candles. They are perfect for those who can’t stay in front of the PC/Tablet/Smartphone during the day. We trade more than one market, we add EURJPY and GBPJPY to our most favoured EURUSD. Yen markets are getting more and more difficult, because they are becoming less and less technical. Yen charts are mostly ruled by the intervention of the Bank of Japan. This has been occurring since the beginning of 2012. Japan’s refusal to have a super-star currency has created many problems within their economy. Foremost of course, a decrease in exports. Despite this undesirable situation we are still making profits on this strategy. Less than the first years certainly, but good profitability remains. We continue to produce yearly profits and profit is always profit. Especially if it comes from zero stress trades managed by our Expert Advisor (a robot who manages our trades while we sleep or do something else). 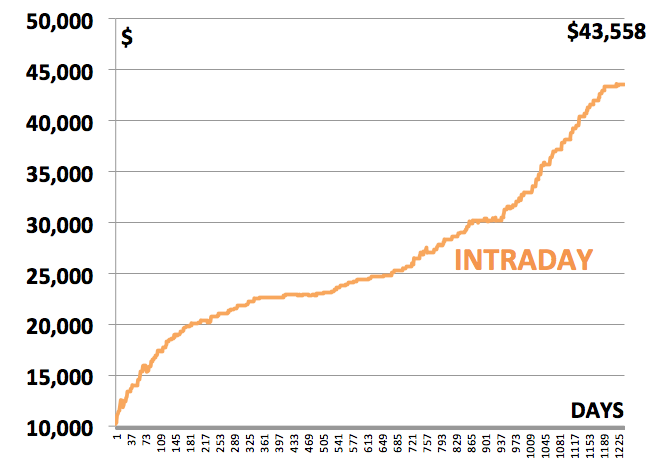 This year we made +6.04% risking 1% per trade. Thanks to this small but important profit we earned with this strategy, we jump to the 1st position in the global ranking! 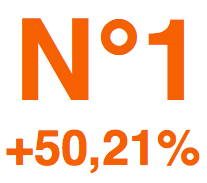 Combining our strategies produces a total of +50.21%, escalating STP to 1st position on the global chart (source: HSBC), risking only 1% per trade. By risking only 1% more you would have been able to double your capital by following our Forex Signals this year. Think about it! My personal thanks to our trading team for achieving these GENUINE WORLD CLASS results of which I continue to be extremeley proud. We look forward to retaining #1 in 2014.